Having been all about face oils for the past few months, I was quite excited and at the same time concerned about trying a new water-based moisturizer. I do get quite annoyed that my hair gets some oil on it every night because of excess face oil and that I have to wash it more frequently, so a good moisturizer is always welcomed. However, I found that creams and lotions just do not do the same thing for my skin as face oils (ah, that glow!) and they also do not help with keeping my skin clear of blemishes. 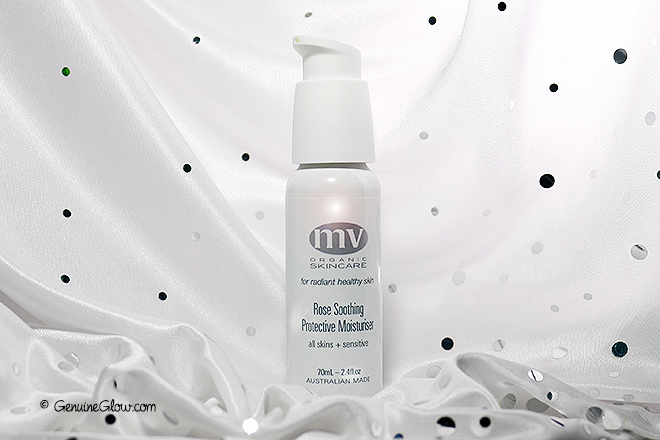 The exception to the rule has been this creamy moisturizer from MV Skincare called Rose Soothing and Protective Moisturiser*. MV Skincare was founded by Australian Holistic Skin Therapist, Sharon McGlinchey. Having given thousands of facials to people with all different skin types, Sharon understood the need to create products that would be gentle enough to be used by everyone. Therefore, MV Skincare products has been formulated to especially benefit those people who have sensitive skin and conditions like rosacea and eczema. I have been secretly using the Rose Soothing and Protective Moisturiser for almost four weeks and I have noticed that this moisturizer has three major strengths: it is gentle, deeply moisturizing, and smells amazing. Gentle – As I have mentioned a few times, my skin type is combination and is also quite sensitive; not only to environmental factors but also to some cosmetic ingredients. The Rose Soothing Moisturiser is so gentle that as I apply it, my skin is instantly soothed and calmed. You know that not-so-attractive redness you get from cold weather and wind? I find that this moisturiser is perfect to protect my skin from that by supplying extra moisture. Speaking of which, it is deeply moisturizing – Let me start by saying, this cream leaves my face soft and supple, as if I had used a face oil. However, the consistency is thick, almost like a balm. Being so rich and thick, I knew there was a chance I would breakout or experience some type of skin reaction because this is what usually happens to my face when very rich moisturizers are used. However, not only has my skin has been looking clear, but I have not experienced any breakouts–only radiant and healthy-looking skin. It works wonderfully under makeup, (famous makeup artist Dotti keeps it in her professional kit) because it is so rich without that slippery feel to it. None of that greasy film that some primers leave, just a naturally supple base. The smell – Like a fresh bouquet of roses. It is truly intoxicating, beautiful, romantic, enjoyable. With all of these incredible qualities this moisturizer could not go un-noticed and it is in fact the favorite of actress Emma Watson and top model Rosie Huntington-Whiteley. It is also celebrity-priced (could anything so luxurious be cheap? ), but if you can afford it, try it. It is fab. 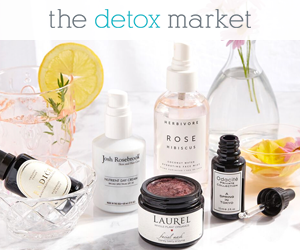 You can find it at The Detox Market (US) and Cult Beauty (Europe). *Update: Read an updated list of my top face moisturizers!